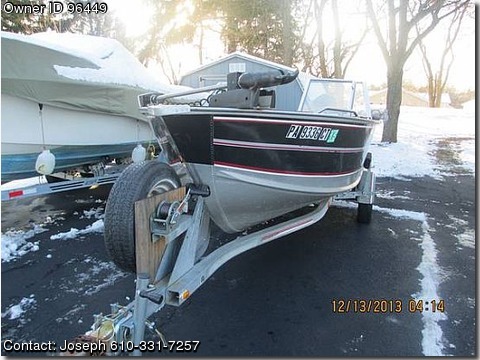 Please contact the owner directly @ 610-331-7257 or jshibilski(at)aol(dot)com.17ft Blue Fin with a new 75hp Evinrude Etec motor with less than 50hrs on it. with electric lift & trailer. Warranty on motor and can be transferred. Title for boat & motor. 2 canon mag 10 downriggers with balls 2 life jackets Bimini Top, flares, & throw ring Live well Just replaced deck with marine plywood & carpet.